The Powerscreen® Warrior 600 has been specifically designed for operators for whom versatility, maneuverability and transportability are of key importance. The compact transport envelope allows the unit to be transported in a shipping container, and is small and light enough to move between sites with minimal cost. The machine is a multipurpose heavy duty incline 2 deck screen, capable of stockpiling, scalping before and after crushing units, or as a standalone unit. Its highly aggressive screen can accept bofor bars, finger screens, woven mesh and punch plates along with other application specific media types. 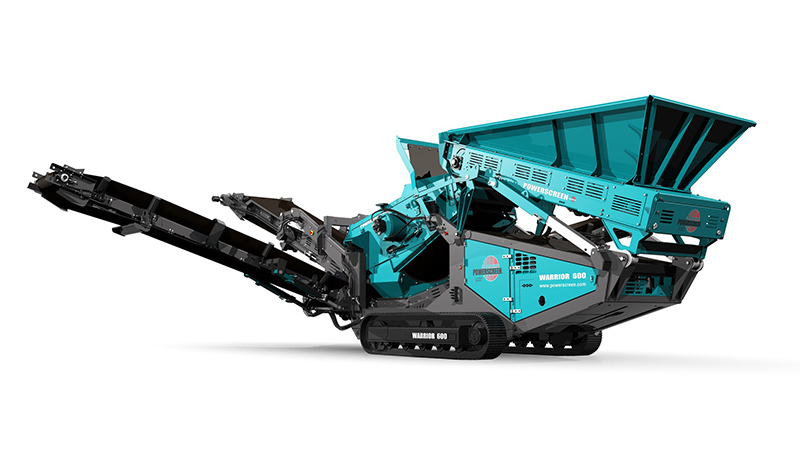 User benefits include a rapid set-up time and ease of operation aided by hydraulic folding side conveyors, rigid feed hopper sides and two speed tracks.